Says Amadito in July 2000: “After the first record it did not make sense to make another one if we could take the rumba even further into passion and complextity. So we did”. Listening to this CD will show you a reinterpretation of the well known latino latin-american kind of music. It is not just rumba but it is modern and innovative. Rumba Profunda is being creative and in a way “unorthodox” when compared to traditional groups and bands that produced this kind of music (“Buena Vista” above all). Amadito explains this:”Buena Vista Social Club has made music for the past, the Afro Cuban All Stars make music for the present, but Rumba Profunda makes music for the future, but the poetry in each was just as intense”. I think these statements are always kind of dangerous and could be misleading. Music can be good or bad, but labels are restrictive and most often will prove to be false. However the traditional Buena Vista or the amazing Afro Cuban All Stars do sound much more familiar, their music is not really “experimental”. Rumba Profunda goes its own way. So if you are a fan of the traditional son cubano and nothing else this CD is not good for you. But if you liked the Grandfathers of Buena Vista and you want to hear how the children will play here is a great opportunity. Technically speaking it is a great CD, great sound, full range, deeeeeep percussions and excellent stage. Voice rendition is accurate. So if you have good speakers and you play loud enough you should get deep and good vibrations. Of course stage depth and full range will put your equipment to the test. You can even use the CD to demonstrate to you and to your friends how good (or bad) your hifi gear actually is. 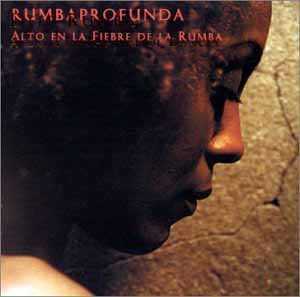 So who is going to like Rumba Profunda? Not necessarily the lover of traditional son cubano, I agree. To him/her these guys may just sound too experimental and revolutionary. But they deserve respect and appreciation in their attempt at reinventing something very musical but sometimes a little too stiff. They use a great variety of instruments in an impeccable way to give you the deepest rumba you have ever heard.